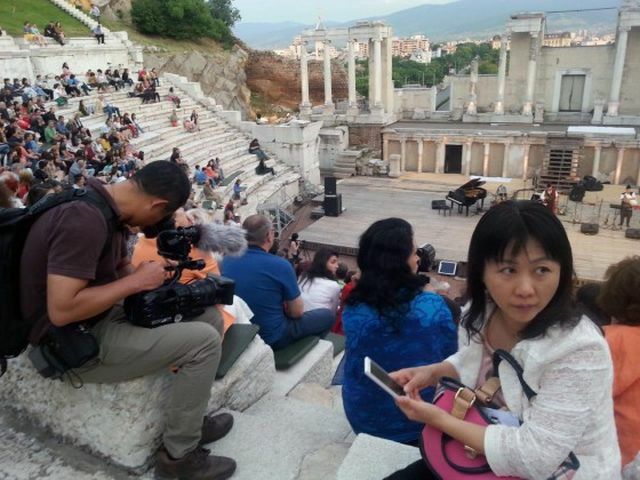 Millions of Chinese viewers have gotten acquainted with the archaeological riches of the southern Bulgarian city of Plovdiv, also known as Europe’s oldest city, thanks to a documentary by Shenzhen Media Group. The 25-minute documentary about Bulgaria’s Plovdiv was aired on six TV channels of Shenzhen Media Group in China on November 2, 2015. The film was made as part of the project for presenting to the Chinese viewers the sister cities of Shenzhen, a joint effort of Shenzhen Media Group and the city of Shenzhen. 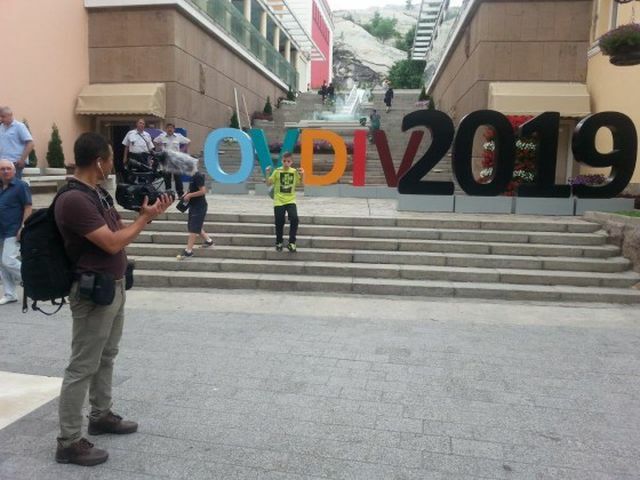 In Bulgaria, the filming was supported by Plovdiv Municipality and the Bulgarian – Chinese Business Development Association. 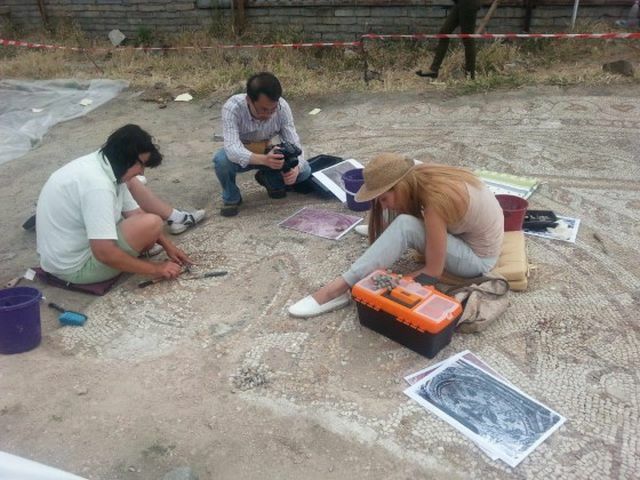 The documentary was filmed in June 2015, and features a number of Plovdiv’s top archaeological, historical, and cultural attractions, the Association has announced. 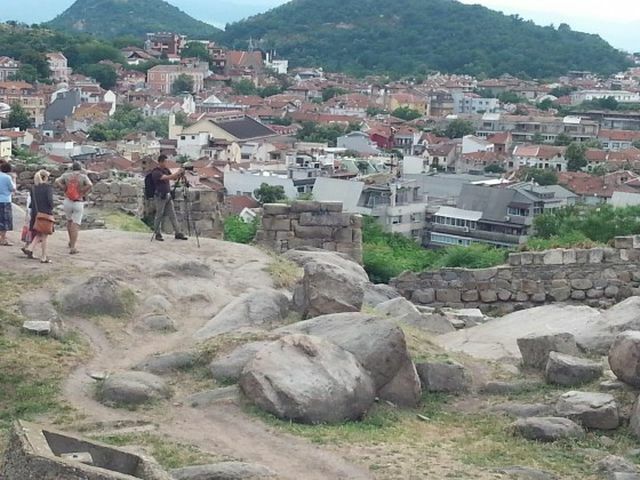 These include the Nebet Tepe Fortress, Ancient Roman Stadium, the Ancient Theater, the unique Early Christian mosaics from the Early Byzantine Great Basilica, as well as artifacts kept in the Plovdiv Museum of Archaeology. In addition to the archaeological riches of Plovdiv, the documentary of the Shenzhen Media Group also features performances from Bulgarian folklore groups and the traditional picking of roses in the Valley of Roses near the town of Kliment, Karlovo Municipality, located to the north of Plovdiv. The film also presents Plovdiv as a destination for doing business. According to Angel Hristozov, Chairman of the Bulgarian – Chinese Business Development Association, Plovdiv and the Chinese megalopolis exchange at least three business delegations every year. Bulgaria’s Plovdiv and China’s Shenzhen became sister cities in March 2014. In the documentary, Plovdiv Mayor Ivan Totev congratulates Shenzhen on the 35th anniversary since the city became China’s first Special Economic Zone. 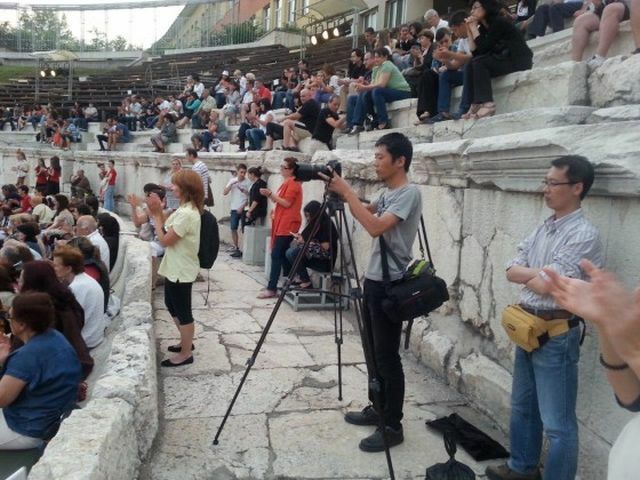 Bulgaria has been hoping not only to promote trade with China, and to attract Chinese investors but also to make itself known as a destination for Chinese tourists, and the documentary is viewed by Plovdiv Municipality as very helpful for the establishment of both business relations and people-to-people ties. The history of the southern Bulgarian city of Plovdiv – often dubbed the oldest city in Europe – began with the human settlement on the ancient hill of Nebet Tepe (“tepe" is the Turkish word for “hill") is one of the seven historic hills where today’s Bulgarian city of Plovdiv was founded and developed in prehistoric and ancient times. The hills, or “tepeta", are still known today by their Turkish names from the Ottoman period. Out of all of them, Nebet Tepe has the earliest traces of civilized life dating back to the 6th millennium BC, which makes Plovdiv 8,000 years old, and allegedly the oldest city in Europe. Around 1200 BC, the prehistoric settlement on Nebet Tepe was transformed into the Ancient Thracian city of Eumolpia, also known as Pulpudeva, inhabited by the powerful Ancient Thracian tribe Bessi. During the Early Antiquity period Eumolpia / Pulpudeva grew to encompass the two nearby hills (Dzhambaz Tepe and Taxim Tepe known together with Nebet Tepe as “The Three Hills") as well, with the oldest settlement on Nebet Tepe becoming the citadel of the city acropolis. In 342 BC, the Thracian city of Eumolpia / Pulpudeva was conquered by King Philip II of Macedon renaming the city to Philippopolis. Philippopolis developed further as a major urban center during the Hellenistic period after the collapse of Alexander the Great’s Empire. In the 1st century AD, more precisely in 46 AD, Ancient Thrace was annexed by the Roman Empire making Philippopolis the major city in the Ancient Roman province of Thrace. This is the period when the city expanded further into the plain around The Three Hills which is why it was also known as Trimontium (“the three hills"). Because of the large scale public construction works during the period of Ancient Rome’s Flavian Dynasty (69-96 AD, including Emperor Vespasian (r. 69-79 AD), Emperor Titus (r. 79-81 AD), Emperor Domitian (r. 81-96 AD)), Plovdiv was also known as Flavia Philippopolis. Later emerging as a major Early Byzantine city, Plovdiv was conquered for the First Bulgarian Empire (632/680 – 1018 AD) by Khan (or Kanas) Krum (r. 803-814 AD) in 812 AD but was permanently incorporated into Bulgaria under Khan (or Kanas) Malamir (r. 831-836 AD) in 834 AD. In Old Bulgarian (also known today as Church Slavonic), the city’s name was recorded as Papaldin, Paldin, and Pladin, and later Plavdiv from which today’s name Plovdiv originated. The Nebet Tepe fortress continued to be an important part of the city’s fortifications until the 14th century when the Second Bulgarian Empire (1185-1396 AD) was conquered by the Ottoman Turks. During the period the Ottoman yoke (1396-1878/1912) when Bulgaria was part of the Ottoman Empire, Plovdiv was called Filibe in Turkish. Today the prehistoric, ancient, and medieval settlement on Nebet Tepe has been recognized as the Nebet Tepe Archaeological Preserve. Some of the unique archaeological finds from Nebet Tepe include an ancient secret tunnel which, according to legends, was used by Apostle Paul (even though it has been dated to the reign of Byzantine Emperor Justinian I the Great (r. 527-565 AD)) and large scale water storage reservoirs used during sieges, one of them with an impressive volume of 300,000 liters. Still preserved today are parts of the western fortress wall with a rectangular tower from the Antiquity period.